Paraben is a preserving agent commonly used in most cosmetics and personal hygiene products in order to prevent growth of harmful bacteria and fungi, to extend products’ shelf life and to decrease production cost. Paraben in yet another clear example of what is good for mainstream cosmetic industry is not necessarily good for your health. 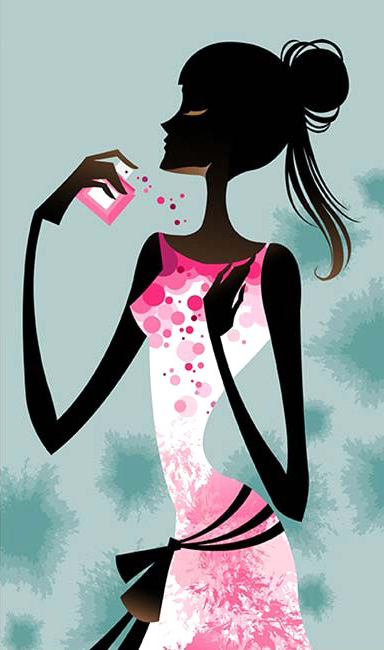 Tune in to more ways in how common cosmetic chemicals can harm your health on our blog. You do not have to use industrial air fresheners to keep your home smelling nice. Organic aroma misters are healthy and affordable alternative. Instead of heavy chemicals, aroma misters contain only organic alcohol, water and organic essential oils balanced in a way that is not harmful to your health. Water is a perfect way to make your aroma mist light and pure. What you want to be using is distilled water that does not have heavy minerals. Organic alcohol is necessary to eliminate odor causing germs. Any clear organic alcohol will do. Organic essential oils will add a nice crisp scent that will not irritate respiratory system. Any organic essential oils such as lavender, peppermint, spearmint, rose, tangerine, sweet orange, chamomile will work. You can use them alone or create your own blend to spice things up. Mix water and organic alcohol well. Add organic essential oil and mix well. Pour into amber or cobalt blue misting bottle and cap well. Shake well before using. To use spray on the bathroom, in the linen close, in the car, in the living room and wherever you want a nice natural scent. Avoid direct contact with sensitive and colored fabrics as alcohol may fade the colors. Avoid getting any spray in your eyes and this goes without saying – do not spray directly on skin, children or pets. Keep aroma mist in cool dark place between uses. For more great ideas, check out new Nina Bella Collection organic aroma mists and body sprays upcoming in May 2012. We all want a nice smelling house and we all have different strategies to keep it that way. Most common impulse is to reach for common industrial air fresheners. They are a cheap choice– but they are definitely not a healthy choice. Have you ever wondered – what is the price you really pay for using common industrial air-fresher? Neither the FDA nor the EPA conducts any safety testing for toxic chemicals in air freshener products. Due to lack of FDA regulation 9 out of 10 air- fresheners, including green air fresheners, contain toxic chemicals harmful for health that can cause caner, respiratory diseases, asthma, organ and skin disease. These chemicals are phthalates, fragrance oils, acetaldehydes, acetone, ethanol, benzaldehyde, isopropyl alcohol, alpha-Pinene, Benzyl acetate, ethyl acetate, isoamyl acetate (1-butanol- 3-methyl-, acetate), O, M, OR P-cymene, limonene and Linalool. Phthalates, the most common ingredient found in virtually all air freshener are known to cause reproductive problems and hormone disruptions. Perfume oils, the next favorite are know respiratory, skin an organ irritants. Acetaldehyde and acetone are both cardiovascular/blood toxicants, gastrointestinal/liver/kidney toxicants, neurotoxicants, respiratory toxicants, skin and sensory organ toxicants. Ethanol is carcinogen, cardiovascular/ blood toxicant, developmental toxicant, endocrine toxicant, gastrointestinal/liver toxicant, neurotoxicant, reproductive toxicant, respiratory toxicant and skin/sensory organ toxicant. Benzaldehyde, is gastrointestinal/liver/kidney toxicant, neurotoxicant, respiratory toxicant, skin or sensory organ toxicant. Isopropyl alcohol, common rubbing alcohol, turns mean when vaporized in air freshener and has been classified as cardiovascular/blood toxicant, developmental toxicant, gastrointestinal/liver/kidney toxicant, neurotoxicant, respiratory toxicant and skin/sensory organ toxicant. Alpha-Pinene, a cute name for nasty chemical is suspected neurotoxicant, respiratory toxicant, and skin/sensory organ toxicant. 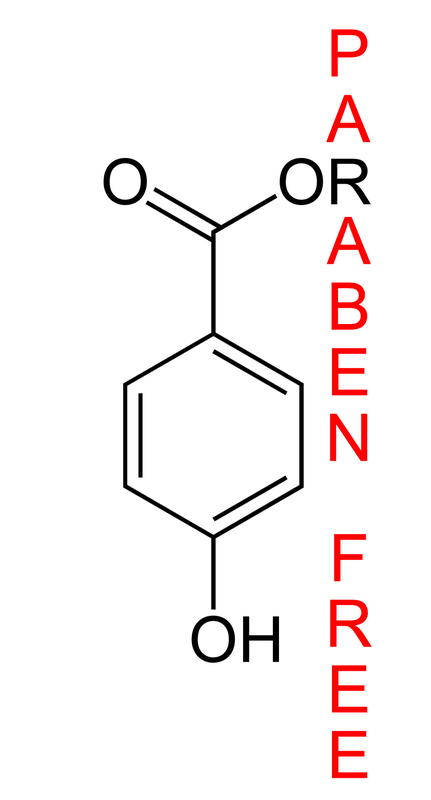 Benzyl acetate is a suspected gastrointestinal/liver/kidney toxicant, neurotoxicant and respiratory toxicant. Ethyl Acetate is a suspected neurotoxicant, respiratory toxicant, skin and sensory organ toxicant. The name will not tell you much but the side –effects will – isoamyl acetate (1-butanol- 3-methyl-, acetate) is suspected neurotoxicant. O, M, OR P-cymene, has an exotic name but will not treat you kindly- it its suspected cardiovascular/blood toxicant, neurotoxicant and respiratory toxicant. Limonene and linalool complete the picture as respiratory and skin toxicant. So you definitely want to think twice before being exposed to that. Or you can avoid risk at all and go for organic aroma misters instead. Instead of harmful chemicals, aroma misters contain organic alcohol, water and organic essential oils balanced in a way that is not harmful to you. They are organic product manufacturer response to responsible product crafting. 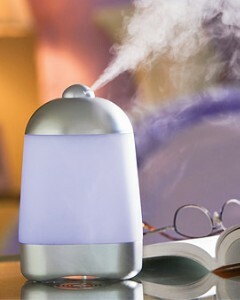 For more on organic aroma misters, check back with Nina Bella Collection Blog. Palm oil, a popular cooking medium has been working the scene for centuries making slow but sure breakthrough in organic skin care. In equal parts affordable and beneficial, palm oil is more often than not one of the most common organic bath and beauty products ingredients. Hailing from West Africa, palm oil has been transported to Europe and reminder of the world in 19th century. As the name indicates, palm oil is derived from the fruits of palm trees. It is a great source of beta carotene which gives it its naturally dark orange to reddish color. Chemically, palm oil is composed of saturated and unsaturated fats in the forms of glyceryl laurate (0.1%, saturated), myristate (1%, saturated), palmitate (44%, saturated), stearate (5%, saturated), oleate (39%, monounsaturated), linoleate (10%, polyunsaturated), and alpha-linolenate (0.3%, polyunsaturated), vitamins and antioxidants. Because of high saturated fat content, palm oil is quite stable, slow to oxidize and semi-solid at room temperature. This means that palm oil is an ideal ingredient to work with in organic skin care. From soap making, to shampoo crafting, to shower gels and bubble baths, to moisturizing lotions to body butters, palm oil seems to have almost limitless number of applications. Its ability to clarify, remove excess sebrum and dirt from hair and skin mean it is great for organic bath products. Palm oil is very easy saponify and is a great organic soap starter. Its ability to moisturize and nourish, mean making a nice moisturizer, cream of a lotion is as easy as adding good quality palm oil to your formula. As always in organic skin care you want to make sure you use quality palm oil. So stay away from chemically extracted, perfumed and bleached oil- it has a cheaper price tag but it also has significantly lower quality. When it comes to your skin it is worth it to pay a bit more to get cold pressed hand processed palm oil. Make sure your label backups up the promise. Organic. Pure. Green. Nutritious. Honest. This is what makes organic bath and beauty manufacturing different. For more on products that use only certified organic ingredient visit Nina Bella Organic Collection. Coloring hair is a quick and great way to change your image and have fun doing it. What you will not have fun with is dryness, split ends and color fading that comes with territory. The natural inclination is to turn to more hair dying, highlights and more chemical treatments in order to cover up instead of solving the problem. Bottom line is once you color your hair you will have to follow a simple rule to keep it healthy and that is: nourish, moisturize and trim. A good trim every four weeks will keep dry and split ends at bay while maintaining your style. Use organic shampoos with gentle foaming agents will clean and hydrate colored hair, and not strip it of moisture like regular shampoos will. And finally take time to nourish your hair using simple but powerful organic ingredients – organic oils. Educated mix of organic oils will nourish the hair follicle and all three layers of your hair shaft- the top layer, called cuticle, the middle layer, called cortex and the innermost layer, called medulla. This will make your hair stronger and more resistant everyday damage. Mix olive oil, pomegranate seed oil and wheat germ oil together. Heat the oils mix in double boiler until warm and mix for 5 minutes. Let cool off. Use general portion of ready mix to hair and let stand one hour. Rinse well, shampoo as needed and follow up with your regular hair care routing. For best results repeat every two weeks. Transfer unused mix in sterilized bottle and cap tightly. Keep refrigerated for up to four weeks. And visit Nina Bella Collection for your organic shampoo that will help you round off your colored hair treatment. Enjoy!! For centuries, olive oil has been Mediterranean women beauty secret. Tanned supple skin, glowing faces, and voluptuous silky hair all have one thing in common – olive oil. Good for you not just inside but for the outside, olive oil is one of the best ways to make anyone into a bronzed healthy looking stunner. It is without a doubt one of nature most important sources of natural beauty. If you have brittle, dull, lifeless hair you want to consider adding olive oil in your weekly hair care regiment. Olive oil is rich with vitamins and minerals that nourish your scalp and it has naturally occurring waxes that soften and moisturize skin and hair. Waxes make olive oil similar to skin and hair natural oil so it is easy to absorb and great for moisturizing skin, hair and scalp. Add lemon juice to honey and mix well. Add mineral water and mi well. Mix in olive oil. Massage ready mix into hair starting with hair ends to roots, massage into scalp, cover with stretch film and leave for 30 minutes. After 30 minutes, rinse well, shampoo and wash per need. Discards left over treatment. Always prepare and use fresh. For longer hair double the ingredients measurements. Nina Bella Collection thanks you for visiting our blog – stop by often for more great tips, great products and new solutions in organic and natural skin and hair care. Olive oil, not just a great salad topping is actually good for your skin. Succulent little plant of mixed origin, olive oil has been known in Asia Minor in the 6th millennium, Turkey in the 4th millennium and Mesopotamia in the 3rd millennium. It is one of nature’s little treasures that has earned and kept its reputation for being simply a great product of great quality with great benefits. Olive oil is extracted from ripe fruits of olive trees, by mechanical or chemical means. 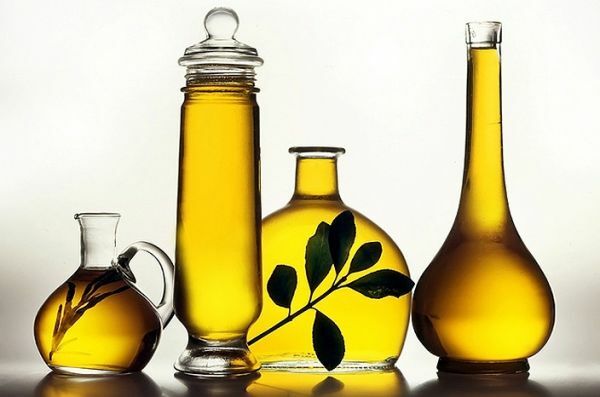 What makes olive oil so great is unique combination of fatty acids (oleic acid, palmitic acid, linoleic acid, stearic acid and triacylglycerols) , esters(oleocanthal and oleuropein), polyphenols (tyrosol,hydroxytyrosol, oleuropein, ligstroside, apigenin, luteolin, coumaric acid, caffeic acid, ferulic acid,cinnamic acid and many more), hydrocarbons (squalene, carotenoids, lycopene, phenanthrene, anthracene and pyrene), sterols (phytosterol and tocosterols) and vitamins (vitamin E, vitamin K). Which basically boils down to fats, carbs, waxes, antioxidants, anti-inflammatories, antibacterials and vitamins. And voila – easy to understand formula for easy to use ingredient equally popular in kitchen and beauty care. In beauty care, olive oil can be used in great many ways. It is rich in antioxidants which prevents skin damage, smooths out and prevent wrinkles. High vitamin content means olive oil makes skin nourished supple and toned, making it a logical if not always obvious choice for creams and body mists. Because it has natural waxes, olive oil is easily absorbed and is a great moisturizer and often used in nail care products and lotions. Olive oil is anti-inflammatory so it is safe to use even for irritated and acne prone skin and it helps skin remain hydrated while keeping pores debris free and open. Want a cheap antibacterial makeup remover? Try some olive oil on a clean cotton pad – you will love the results! Weak nails, dry skin, wrinkles, irritations, brittle hair, chapped lips, makeup gunk, bad cuticles, dead cell build up – olive oils solves it all. And more! Ask us about our new and upcoming organic olive oil products and our organic olive oil – Nina Bella Collection is always there for you! Dry, scaly chapped elbow skin. Embarrassing in summer time, painful in wintertime and always unwelcome – scaly, dry chapped elbows are a persistent problem for many. You can try countless creams, preparations, and ointments but until you turn to natural solutions, chances are you are stuck with them. Why is that so? Because most industrial dry skin preparations have preservatives and stabilizing agents are harsh compounds that damage and chap skin, which on the long run, negates the initial skin smoothing effects of other active ingredients. With natural ingredients, such as coconut oil, that naturally moisturize and nourish skin, you don’t have to risk that. So your elbows look great and you do not have to break bank to get them that way. Here is a great coconut oil formula you can make in comfort of your own home that will blast scaly, dry, chapped elbow skin away. Mix coconut and almond oil together. Mix honey and lemon juice well and add to coconut and almond oil mixture. Apply ready mix to dry chapped elbows. Wrap tightly with saran wrap and let stand 30 minutes. After 30 minutes, wash gently with mild low foaming organic or natural soap and warm water and tap dry. Repeat two times a week for best results. Store the unused mixture in fridge for up to 2 weeks. Say goodbye to dry chapped elbows and say helps to summer clothes! Thank you for visiting Nina Bella Collection blog and website. Known as the tree of life due to its benefits and grinning face due to unique appearance, coconut is an exotic and important part of food and beauty industry. Going as far back as Eocene period, 37 to 55 million years ago, coconut was gracing the pre-historic landscape of in Australia and India, and later Indian Ocean and South America. While all parts of coconut, kernels, meat, juice, milk, and shells can be used, the oil is the most popular. By composition, coconut oil is 92% of saturated fatty acids (caproic, caprylic, capric, lauric, myristic, palmitic, and stearic acid) and 8% of unsaturated fatty acids (mostly linoleic acid), making it ideal skin moisturizer and wrinkle smoothing agent. It is very stable white to pale yellow solid at temperature under 30˚C and transparent clear oil at or above 30˚C. Being stable at room temperature, coconut oil is easy to use and thus often used for natural and organic body butters, creams and lotions. Very easy to saponify, due to high saturated fatty acids content, coconut oil is great for soap production and makes an attractive, nicely scented, if slightly hard, product. Nice balance of fatty content with naturally occurring vitamins A and E, mean coconut oil is a great addition to hair products and makes hair shiny and supple while minimizes hair loss. In short coconut oil is widely versatile and has many applications in organic and natural bath and beauty care. When looking to add extra dimension to your product for hair, skin or body care, chances are you will want to put your bets on coconut oil. Its bath and beauty benefits are well proven, based on naturally occurring fatty acids and vitamins that give coconut oil significant moisturizing, antimicrobial, antioxidant, anti-fungal, antibacterial, soothing and rejuvenating properties. No wonder coconut was grinning when met with first humans. It may just be it was a start of wonderful friendship. For more on coconut oil and products inspired by coconut oil, visit Nina Bella Collection blog and website. Jojoba is evergreen tree, native to the Sonoran Desert in the American Southwest. It requires minimum amount of water and manure to cultivate, is extremely resistant to plant diseases and insects, and perfect choice for dry, arid regions. Jojoba oil is extracted from nuts of jojoba trees and used in variety of applications from food to beauty. Contrary to the popular belief, jojoba oil is not oil at all. Chemically it is a mixture of liquid wax esters. The only reason it is called so is because is it an oil-resembling liquid. It is a highly stable, oxidation resistant liquid wax with high molecular weight, meaning it can stand for a long time without becoming rancid. Pure and natural type jojoba oil, with a golden or yellow color, preferably used in organic and natural cosmetics. Refined and bleached jojoba oil that is colorless. De-colored and deodorized grade, commonly used in mainstream cosmetics. Molecular distilled oil that is very expensive. Grade one jojoba oil is most similar to skin sebum which is why it is preferred as an additive to many skin care and hair care products. It is non-toxic, non-comedogenic, non-allergenic, anti-bacterial and non-irritating, so it does not clog pores and does not cause allergic reactions. This makes jojoba oil a logical choice for natural and organic bath and beauty products. Being similar to skin sebrum, jojoba oil is readily absorbed into skin and does not leave oily residue like other oils do. It has a high content of beneficial minerals and vitamins such as Vitamin E, so jojoba oil is very nutritious and unparallel in dry skin and hair care. If that is not enough, jojoba oil is a strong antioxidant which protects skin from the damaging effects of free radicals which ages skin prematurely. This is why 90%of all jojoba oil produced is used in the cosmetic and hair industry. Many bath and beauty organic and natural products are also built and manufactured around it. Who knew such an unassuming little oil wannabe could be so good at keeping us beautiful? For ideas on how to use jojoba oil in everyday beauty care, follow Nina Bella Collection blog and visit our website!